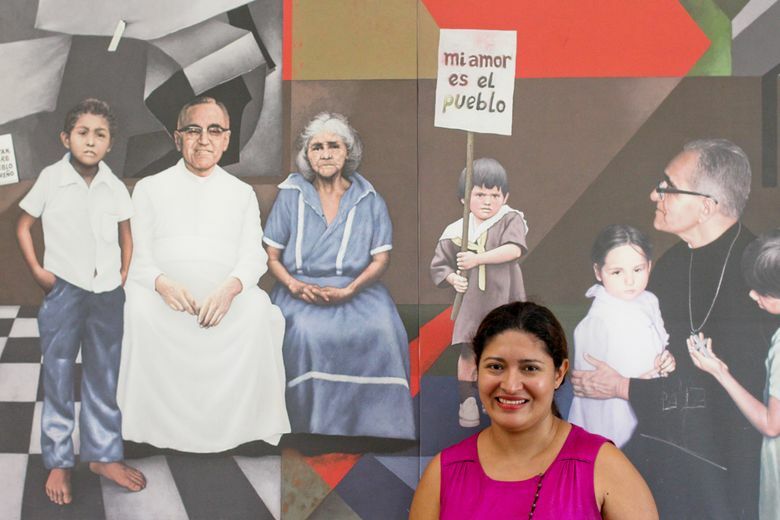 SAN SALVADOR, El Salvador (AP) — A Salvadoran woman whose unexpected recovery from a life-threatening condition was deemed a miracle, paving the way for the upcoming canonization of the late Roman Catholic Archbishop Oscar Romero, said Friday she’s convinced he is a saint. 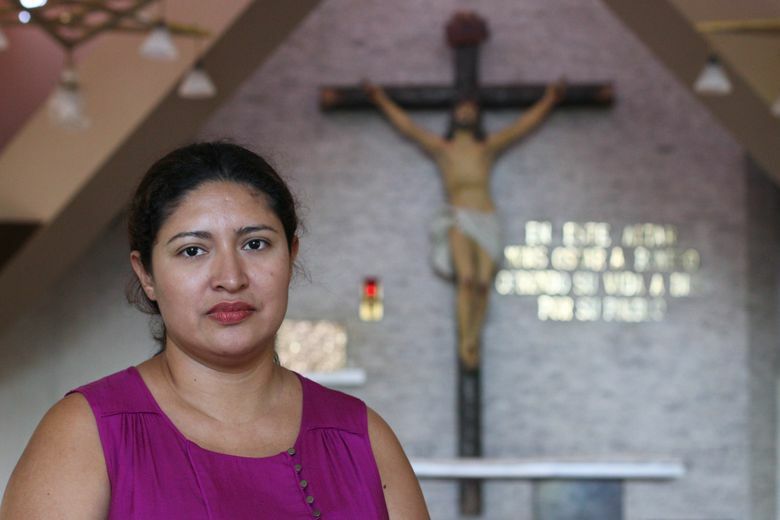 Speaking days before a planned pilgrimage to the Vatican along with her husband and thousands of others, Cecilia Maribel Flores also expressed hopes of meeting Pope Francis, who earlier this year approved the miracle and decided to elevate the martyred cleric to sainthood. 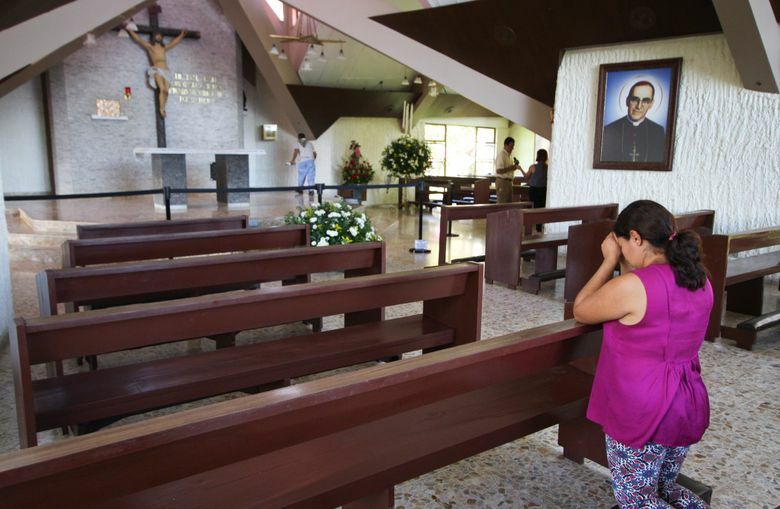 “We know that Romero is a saint, a man of God, who as a pastor defended his flock, defended the poor, the most needy, the victims,” Flores said during a visit to the hospital chapel where 38 years ago Romero was felled by a gunman’s bullet while celebrating Mass. “What God has given me, I must share,” she added. Romero, already known to many as “Saint Romero of the Americas,” was beloved among the working class and poor for defending them against repression by the army. He was equally loathed by conservative sectors who saw him as aligned with leftist causes as the country descended into a 1980-1992 civil war. Crucial to Romero’s canonization, scheduled for Oct. 14, was Francis’ approval of a miracle attributed to his intercession in Flores’ case. “If you believe in God or if you believe in anything, ask Him for your wife to be saved with a miracle” — that’s what a doctor told Alejandro Rivas in September 2015 after Flores, his wife, underwent an emergency cesarean section for their third child and was diagnosed with an infection that left her in a coma. Suffering from internal hemorrhaging and with her kidneys on the verge of collapse, she was not expected to survive. Arriving back home he remembered his late grandmother had tried to instill in him her devotion to Romero, although it had never quite resonated for him. He asked his grandmother for help. Later he picked up her Bible and inside found a card with Romero’s image. Kneeling, Rivas prayed to Romero for intervention. He slept, woke up in the morning and returned to the hospital, where a nurse had stunning news: Flores had begun to improve around 2 or 2:30 a.m., the same time he had made his prayer. “It left me frozen. I didn’t understand what was going on,” Rivas said. “Now I do understand, that it is an incredible miracle. Flores made a full recovery. Romero was previously beatified, a necessary step before canonization, in May 2015 in an emotional ceremony in the Salvadoran capital, San Salvador. The gunman who killed him was contracted by right-wing death squads. A U.N. truth commission determined that one intellectual author of the assassination was Maj. Roberto d’Aubuisson, a founder of the conservative Arena party that governed the country from 1989 to 2009. D’Aubuisson died in 1992. Neither he nor anyone else who may have ordered the killing was ever punished. A 1993 amnesty decree prevented prosecution for civil war-era crimes for over two decades until it was declared unconstitutional in 2016.